I’m all for freedom of speech, but the rulers of our campuses think otherwise. 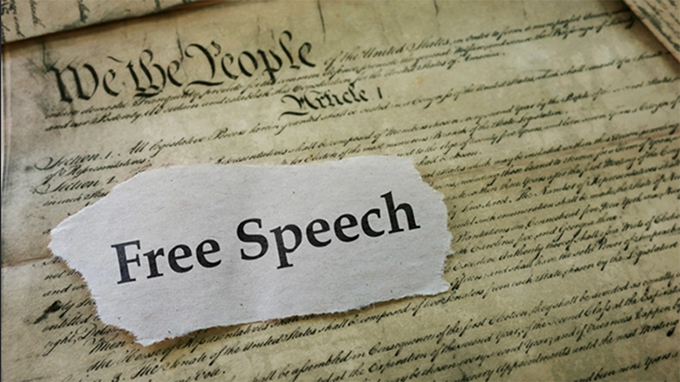 It isn’t simply they wish to control what’s said in the classroom, they’ll cheerfully punish, and punish hard, a professor who dares express wrongthink on social media, as I’ve documented many times in this blog. Now, when faced with such smackdown, the professor can fight back (we do have this Bill of Rights thing), but such fights are tough. You can’t win in the heavily rigged university system, so that means the “real” courts…and that means time and money. Generally, the professors win when they do this, possibly even by presenting the case to the supreme court, but I find such victories Pyrrhic at best—even if you get your money back, the fight can take years you’ll never regain, and going back to work for an infuriated boss eager for payback isn’t fun. Curiously, the free speech abuse cases I’ve covered all go one way, namely with a professor saying something against the Social Justice Warrior agenda. What happens when a professor is racist, but in a SJW-approved manner? Well, that certainly is racist, in the classic definition of the word for hating a whole classification of people based on skin color. No judgement here on my part, though I can’t help but note the professor is white (and hasn’t self-destructed, leading me to believe he, like so many who virtue signal this kind of stuff, doesn’t actually believe it). Before the fall semester started, Rutgers announced that Livingston’s Facebook posts had violated the university’s Policy Prohibiting Discrimination and Harassment. While I don’t approve of the university’s actions, this is consistent with how other universities have behaved. Not being a law professor, he went to FIRE, the Foundation for Individual Rights in Education, to help him out. Even with this organization at his back, one would think the university would have the integrity to hit the professor with suspensions and whatever, and force him to fight in the courts for years to protect his rights. I mean, if we assume the school honestly believed what the professor did was inappropriate, one would think that.